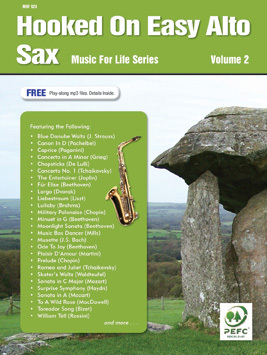 Hooked On Easy Alto Sax is another delightful collection in the ever popular Hooked On series. The 36 all-time-favourite classic titles are arranged to be played in conjunction with the Hooked On Piano series offered by Mayfair Music Publications. Titles include: Canon in D; Chopsticks; Moonlight Sonata; Ode to Joy and many more. An ideal study or recreational book.